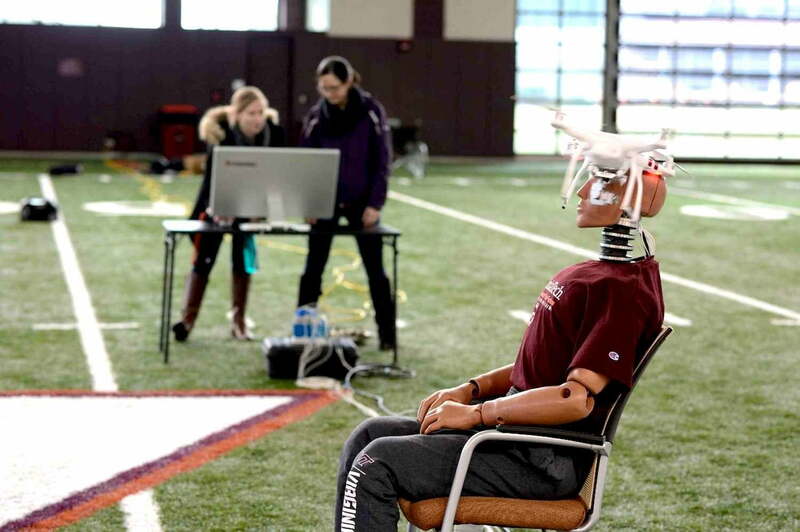 Keen to learn more about what happens to a human head when a rogue quadcopter smashes into it at high speed, boffins at Virginia Tech have recently been conducting a number of tests. Aware that using a real human head for their experiment would likely culminate in a bloody mess requiring several wet cloths and even surgery to clean up, the researchers instead called upon the services of an old favorite for such activities – the crash test dummy. Virginia Tech – currently one of several FAA-designated drone test sites that dot the nation – hopes its research will help the aviation administration to better understand the level of injury risk when it comes to using drones in everyday settings. If the gathered data is able to demonstrate the risk as low, or the researchers can offer useful suggestions on how to build safer drones, the FAA may be persuaded to relax regulations for companies interested in delivery-by-drone services, or perhaps to be more lenient when it comes to setting rules for flying quadcopters in particular settings such as urban areas or one-off events that attract large crowds. The researchers conducted their study by fitting the dummy with an array of sensors and filming the collisions using two high-speed cameras. The aim was to discover how much force was generated when a drone crashed into the dummy’s head. Going by the footage in the video above, you really wouldn’t want one of today’s remotely controlled quadcopters hitting your noggin at any speed. And then there’s all those spinning blades to consider, a matter that singer Enrique Iglesias knows all about. However, the Virginia Tech researchers suggest that features built onto drones such as “bumpers, enclosed rotors, and airbags” could all help to reduce the risk of injury, although such additions would need to be extremely lightweight in order to avoid compromising the machine’s performance. While drone design can certainly play a part in reducing injury risk in the event of a collision, improvement in machine reliability and the implementation of a safe and effective air traffic control system for autonomous unmanned aerial vehicles will also be important before the FAA considers relaxing regulations for some types of commercial drone operations. The collisions shown in the video highlight the first stage of the research. Additional tests will include dropping the flying machines onto the dummy from a height to simulate a mid-flight mechanical failure, and lab tests that offer extra control over impact scenarios as well as more accurate data measurements.